The children that ride with us have a wide range of abilities, some have special educational needs, some are physically disabled, some have behavioural problems and some may have combinations of all these. 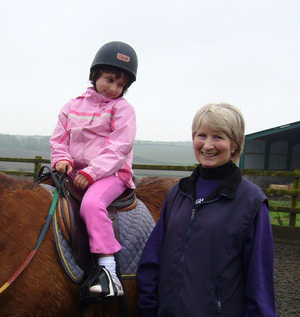 Whatever special needs the children have we aim to give them an enjoyable experience when they ride. They may progress to take part in a national competition or their biggest step may be an increase in confidence and social interaction. 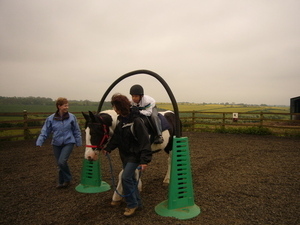 As well as learning horse riding skills they will gain physical benefits with improved muscle control and balance as co-ordination improves. For many children one of the benefits is to experience a new environment and to interact with an animal and with new people. 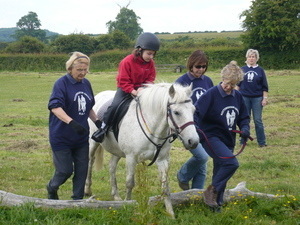 At the end of the school year we have an Awards Day when we have a 'handy pony' course and every child, whatever their ability, receives a rosette and an award. Parents, carers and teachers are invited to this event.